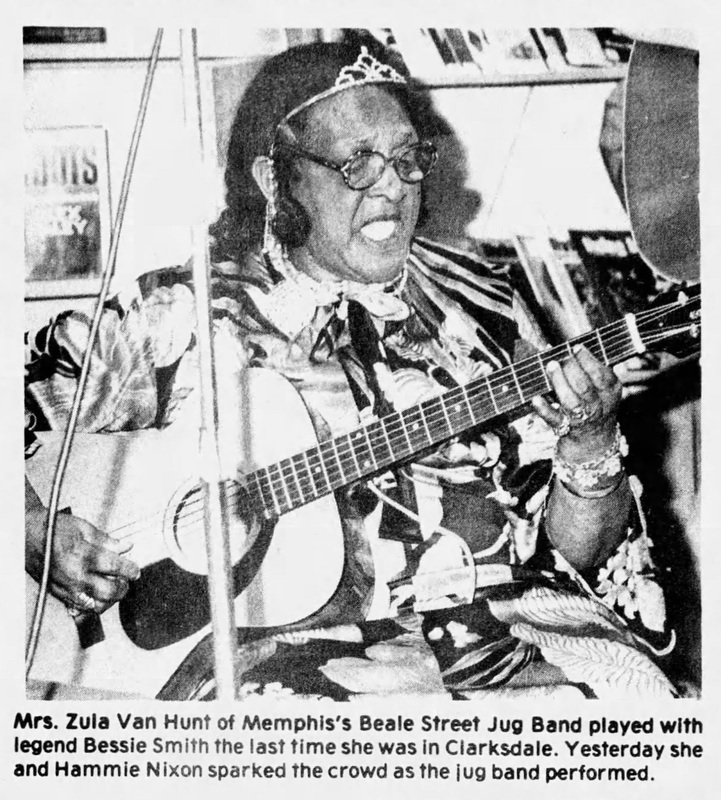 Van Zula Carter Hunt (1901-95), singer and guitarist, moved from her hometown of Somerville to Memphis around the late 1910s and began her professional musical activity, traveling for several years with larger minstrel shows (such as Rabbit Foot, and Silas Green) as well as with her own show, Madame Hunt's Traveling Show. She played with local blues artists such as Sleepy John Estes, Frank Stokes, Gus Cannon, and Memphis Minnie, and the Memphis Jug Band. She recorded some gospel sides as a chorus member with Rev. E.D. Campbell for Victor Records in 1927. In 1930, she recorded the vocal "Selling That Jelly" with the Carolina Peanut Boys (Noah Lewis, John Estes, Ham Lewis, and others) for Victor Records. 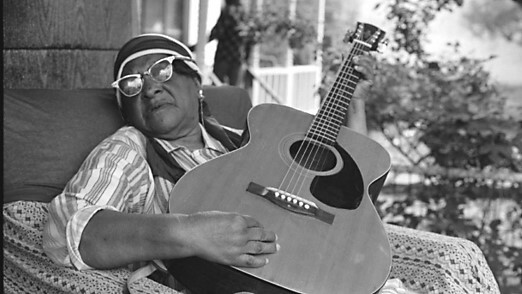 She reportedly made other recordings in the prewar era and recorded for Sun in the 1950s. Two songs were released on Adelphi LP 10105 Memphis Blues Again, Vol. 2 in 1970. Hunt is backed on a number of tracks on the first volume of the Blues At Home Collection by pianist Mose Vinson, who was also recorded solo, as well as Hunt's daughter Sweet Charlene. Steve LaVere, who learned of Hunt through washtub bass extraordinaire Dewey Corley, said of her, “She knows everything about everybody." In an obituary, Ed Tremewan stated that Hunt appeared locally in festivals from the "early 1960s and well into the 1980s, when declining health slowed her activities down. Walter Lee Hood - "Big Daddy"